As Defense Minister Avigdor Liberman (Yisrael Beytenu) tries to advance the death penalty for terrorists, Arutz Sheva discussed the issue of terrorists' motivation to carry out attacks with MK Anat Berko (Likud), a member of the Knesset Foreign Affairs and Defense Committee who has researched the issue, in an attempt to determine whether such a law would be effective in the fight against terrorism. "If these terrorists could be executed, it would be good, because I have not encountered one terrorist who thought he would finish his sentence in an Israeli prison," Berko said, referring to the various deals that lead to the release and shortened sentences of terrorists. She added that "there is already a death penalty and there is no problem in giving it, but it has to be unanimous, such that the punishment is not being implemented. Once there is a death sentence, there is an automatic appeal in the Samaria appeals court, therefore it’s simply not happening. We’re making more legislation when there is already legislation that is not implemented because of the requirement of unanimous support for the death penalty. " In light of all this, Berko said that, in her opinion, the law is not necessary, but she herself will not object to it because "these terrorists deserve to die and morally, it is correct. The question is whether we can bring about a situation in which something like this will be realized. It can be correct as a declaration of intention, but I don’t see it coming to fruition." At the same time, she noted that a way may be found to make the law, which has not materialized so far, come to fruition, but that she herself does not see how it will actually happen. Regarding the effectiveness of the law should it materialize, Berko said that it would “at least be effective in one sense, that whoever was sentenced to death would not be released from prison. I interviewed many terrorists with dozens of life sentences, including Sheikh Ahmed Yassin, who told me that he would yet be released from prison. None of them believe they will actually serve the full sentence, and we saw that terrorists who were released in the Shalit deal returned to murder. " "It will not deter them from carrying out attacks because they rely on our morality, therefore they send minors to carry out attacks. 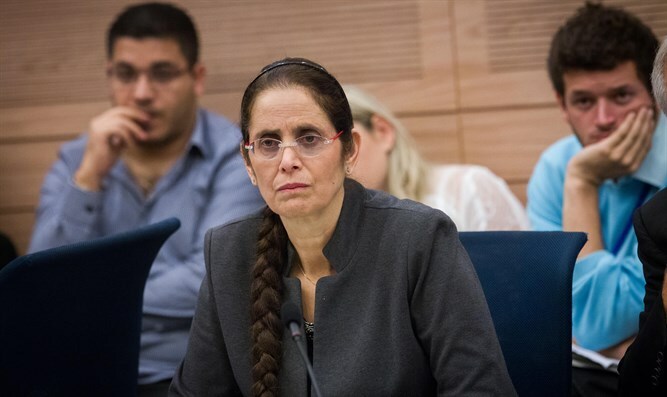 They don’t believe we will make it that hard on them," Barko assessed, and when asked about the concern that also arises over the issue of Israelis held by the enemy being killed, she said: "In my opinion, the punishment of prison is very severe. The denial of freedom is a very serious punishment, and even those who carry out suicide attacks regard the denial of freedom as a serious punishment. One of the terrorists told me that life in prison is death every day anew. The problem is that it does not always entail the denial of freedom; They are not always isolated, sometimes they also carry out terror attacks from inside the prison, and that's where this idea comes from. " Dr. Berko noted that she did not sign the bill because of all these considerations, but that when the bill is brought to a vote she will not oppose it, except in accordance with the coalition's decision.